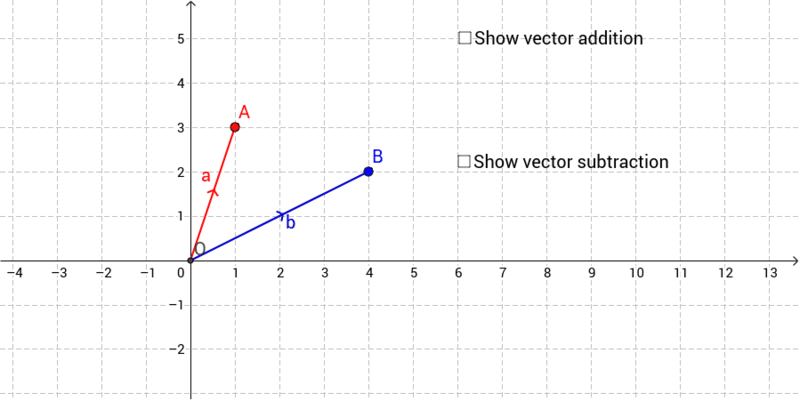 Use the checkboxes to see the geometric interpretation of adding or subtracting the position vectors of A and B. You can drag the points A and B around. Try moving them into different quadrants.